In an attempt to appear democratic, a few weeks back Momentum asked its members to “help us draft proposals for Labour Party democracy review (Corbyn review)” by submitting proposals and/or ‘nominating’ the one they preferred. The organisation’s most comprehensive proposal, the ‘Charter of members’ rights’, was not among them, we should state from the outset. It will apparently be put to an all-members’ vote shortly, but its origin remains somewhat mysterious. We will deal with it further below. Labour Against the Witchhunt decided to submit a short version of its demands in the second of three ‘tracks’ of the review: ‘Membership involvement and participation’. For a week or so, the proposal had around 50 nominations, easily leading the field in that track. Of course, LAW comrades were under no illusion that Momentum would actually put our proposals forward. After all, Momentum owner Jon Lansman has played a pretty despicable role in the anti-Semitism witch-hunt – for example, by throwing Jackie Walker to the wolves after she was suspended from the Labour Party on trumped-up charges of anti-Semitism. He arranged to have her removed as vice-chair of Momentum (just before he abolished all democratic structure in his coup of January 10 2017). Another organisation involved in that sorry affair is, of course, the Alliance for Workers’ Liberty, whose members on the Momentum steering committee voted for comrade Walker’s removal – just before they were ‘removed’ themselves by Lansman. Cottoning on to the fact that it might be politically useful to use Momentum’s “digital democracy platform”, a few days before the deadline of February 16, the AWL submitted its own proposal on the witch-hunt. This was pretty much in line with LAW’s motion – with one important omission: it does not contain any references to the anti-Semitism witch-hunt or criticism of the Labour Party’s support for the International Holocaust Remembrance Alliance (IHRA) definition of anti-Semitism. 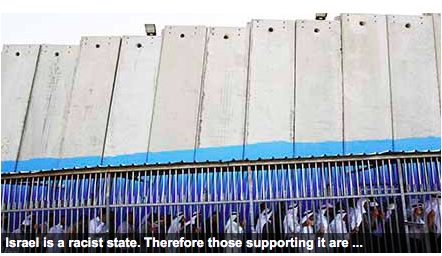 This IHRA definition, in its list of examples, conflates anti-Semitism with anti-Zionism and support for the rights of the Palestinian people. In any case, the AWL mobilised heavily on and off Facebook and its Momentum proposal quickly caught up with LAW’s motion. Just before the deadline (midnight, February 16), however, some rather mysterious events unfolded. LAW’s and the AWL’s proposals were ahead, neck and neck, until just before 11pm, when they were suddenly both overtaken by another one, that had been lingering at a distant third. It is the rather lame proposal to raise the threshold for the Labour Party’s trigger ballot for the reselection of MPs from 50% to 66%. (At present an MP needs to win a simple majority of nominations from local party branches and affiliated trade unions and socialist societies in order to become the candidate once more). We know that this proposal has the support of Jon Lansman – not just because it won, but because he has been raising the issue in recent interviews. This system now seems to be Jeremy Corbyn’s preferred alternative to the long-standing principle of ‘mandatory reselection’ of MPs. But this system is still disproportionally in favour of the sitting MP. Rather than allowing for a full and democratic automatic selection process before every election, a sitting MP has to be challenged. This is the wrong way round. Lansman knows that, of course. He has campaigned for mandatory selection all of his adult life. Corbyn and Lansman are wrong in thinking this will placate the right in the party. Nevertheless, within the last half an hour or so, that proposal suddenly received more than 50 nominations, so it topped the list of nominated proposals (you can read all three further below). Maybe some Lansman loyalists suddenly remembered they had not yet voted. Or maybe Lansman did a ring-round to garner last-minute support. We may never know. To add further to the mystery, it appears that some people already knew well before the deadline which proposal would win. In the February 16 issue of The Times (written, of course, the day before) Lucy Fisher writes: “Momentum has proposed raising the threshold [for the trigger ballot] to two thirds of nominations”. 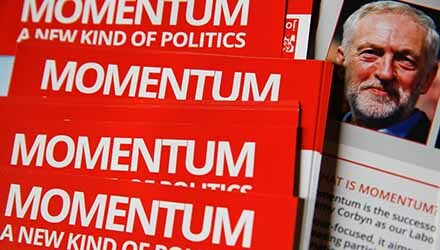 Clearly, it is enough for Jon Lansman to declare his support for something to make it official Momentum policy – Lucy Fisher got that right. All this calls into question Momentum’s so-called ‘democracy’ once again. Anybody who believes that Jon Lansman abolished all previous structures and decision-making bodies in order to make Momentum more democratic (yes, there are people who believe this) is clearly deluded or – more realistically – hoping for a career in the Labour Party. This episode also exposes the limits of so-called online Omov (one member, one vote). It sounds democratic, but it is anything but. For a start, very few members actually participated. There were quite a few proposals – with some comrades submitting their own rather eccentric hobby horse – but the number of ‘nominations’ for each proposal rarely managed to get into double figures. The three mentioned above were way above the rest and in the end Lansman’s proposal had garnered 114 nominations, while the AWL’s received 74 and LAW’s had 70. Out of a Momentum membership of over 20,000! Even worse: most of the people who did participate in this fake-democratic exercise did so only because they were urged to do so by their ‘faction’ – be it LAW, AWL or the Lansmanites. Which means that a fair chunk of participants will not even have read the rest of the proposals. The ‘factionalism’ so criticised by many Omov supporters is evidently still in full swing in Momentum – it is just a lot less transparent than it would be with a proper democratic decision-making process: for example, a conference. that “membership rights should not be removed until an investigation is completed (ie, suspension should only be used as a last resort)”. 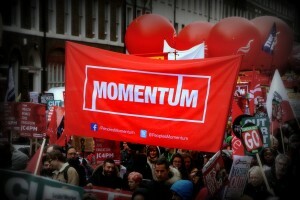 We do not know who exactly has drafted the Momentum’s charter, what kind of legal standing it would have in the Labour constitution and how indeed it would be enforced. It is presented as an amendment to the ‘membership rules’ (section A, chapter 2) in the rulebook, but also states that these “rights should be protected under Labour’s constitution” (our emphasis). In any case, the charter does indeed contain some pretty useful and overdue stipulations. No doubt these proposals are also supported by Jeremy Corbyn, on whose behalf Jon Lansman is, of course, running Momentum. In the point, ‘Transparency’, the charter contains, for example, the “right” of party members to “inspect the financial records of the party” and the need to give members “access to all key documents governing national and local-level party activity, including rules, standing orders, guidance notes, appendices, codes of conducts and procedures, which should be collated and made available on membersnet in clear and accessible language”. Any Labour Party member who has ever tried to get hold of the full standing orders of their Constituency Labour Party or local campaign forum will know that they are often treated as a closely guarded secret by people in control of the levers of power. Other useful points in the charter include ‘Capacity building and skills development’, which again sound like a lot of obvious waffle – unless you try first-hand to organise a training session or education event in your CLP. Most important is, however, the section on ‘Disciplinary justice’, which is subdivided into 12 points and forms the longest part of the document. It contains many recommendations from the Chakrabarti report and its aim is to “ensure that disciplinary matters are dealt with fairly”. It is designed to put a (middle-sized) spanner into the works of the rightwing party bureaucracy, which has suspended thousands of pro-Corbyn members on the most absurd charges. In many cases, members are not actually told what they have been suspended for. Suspensions are upheld for many months, often years, without any effort on the bureaucracy’s side to resolve them. “Alleged breaches of party rules shall only be investigated if the breach complained of took place within 12 months prior to the complaint” (except when it is a case of “alleged criminal conduct”). There should be an “equitable time lapse, specified in the rules, for the readmission of expelled members proportionate to the gravity of their offence” (to replace the automatic five-year ban). Where the NEC considers “auto-exclusion”, “the member shall be informed of the allegation in advance of the decision and have the right to make representations within a specified time scale before the decision is made, and there shall be a right of appeal”. “Suspensions shall be a last resort” and should only be used “where the NEC decides that there is a prima facie case of a serious breach of party rules”; normally where the NEC is considering suspension, “the party member shall be informed of the allegation in advance of the decision and have the right to make representations within a specified timescale”. “… all complainants (if any) and the person complained about shall receive a written decision on the outcome of the complaint, giving reasons”. The call for the replacement of the staff team charged with enforcing compliance in the Labour Party with elected representatives, on the basis that disciplinary justice does require having independent and professional people in charge of implementing disciplinary affairs. In addition, key decisions over disciplinary affairs are already taken by elected representatives: namely those on the NEC disputes committee. They also disagree with the proposal to delete the first part of rule 2.1.4.B, as this could benefit groups which are opposed to the party. Finally, they believe that is outside of Momentum’s remit to take a position on precise definitions of anti-Semitism. The last of the three points is the least surprising, in that Jon Lansman and Jeremy Corbyn have made it clear that they will continue to go along with the absurd claim that the Labour Party has a huge problem with anti-Semitism. They will stick with the IHRA definition and, crucially, its widely derided list of “examples”, which conflate anti-Semitism with anti-Zionism. 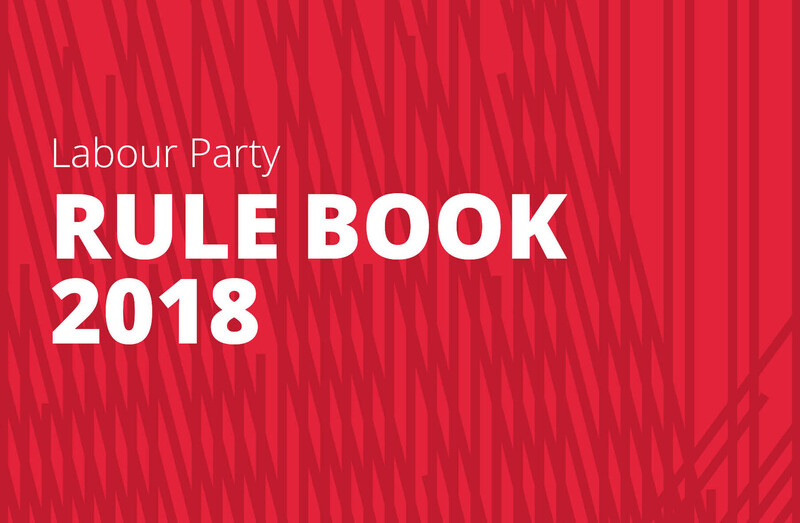 Worryingly, they also want to keep rule 2.1.4.B in place, according to which “a member of the party who joins and/or supports a political organisation other than an official Labour group or unit of the party … shall automatically be ineligible to be or remain a party member”. We wonder if they think that the punishment of auto-exclusion for that particular crime, with an automatic ban from membership of five years, should remain in place? This rule has been applied in an entirely one-sided way against leftwingers only – among them supporters of Socialist Appeal, the Alliance for Workers’ Liberty and Labour Party Marxists. 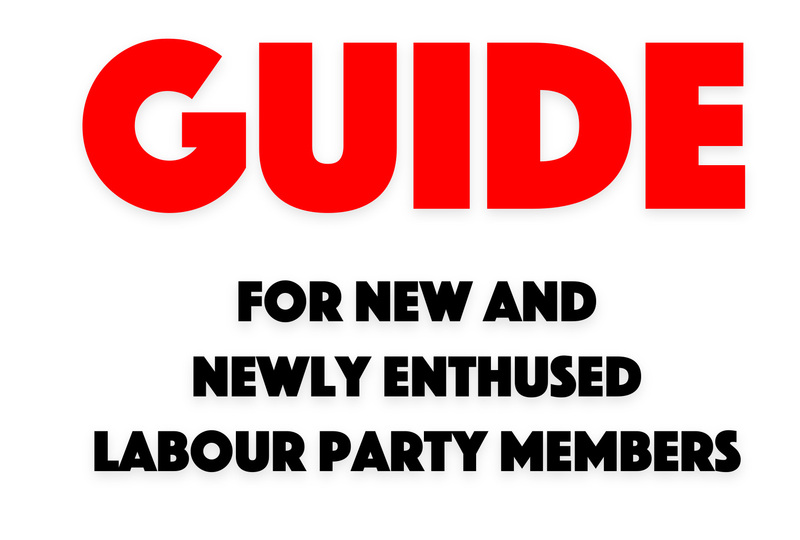 Groups such as Progress and Labour First (also not affiliated to the party) remain untouched and can continue to operate freely and in a highly organised fashion. And what about supporters of the Stop the War Coalition or Campaign for Nuclear Disarmament? Aren’t they also examples of a “political organisation”? This rule clearly should go. The Labour Party would be positively transformed by allowing members of left groups – who are often the most educated and most dedicated in the party, doing most of the grunt work on the ground – to operate freely in the party. Most worryingly though, Lansman and Corbyn want to keep the compliance unit in place. True, the NEC disputes committee looks over all cases. But the investigations, suspensions and expulsions are all instigated and driven by the unelected compliance unit, which is firmly in the hands of general secretary and anti-Corbyn witch-hunter general Iain McNicol. Even if there is a plan to replace the man with a leftwinger at some point in the future, it would still mean that this important body remains in the murky shadows and can continue to operate without any accountability. It is not democratic if the members cannot replace it. The automatic and instant expulsions and suspensions – especially those based on alleged anti-Semitism and those based on members’ alleged “support for other organisations” using rule 2.1.4.B – have brought the party into disrepute: they have prevented and discouraged new members from getting involved in party life, while valuable resources have been wasted in persecuting some of the most energetic and effective campaigners for social change. the party should immediately abolish the ‘compliance/disputes unit’. Disciplinary decisions should be taken by elected bodies, not paid officials. The vast majority of the many expulsions and suspensions since 2015 have been politically unjustified/unjust and violated natural justice. They have prevented and discouraged new members with valuable skills and talents from getting involved, created a culture of intimidation in parts of the party, and wasted valuable resources on such persecution – all weakening our ability to take on the Tories and campaign to change society. The Chakrabarti report’s recommendations should be implemented. 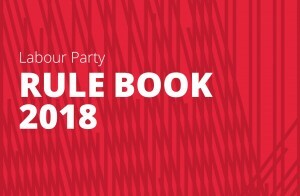 The first part of rule 2.1.4.B – auto-exclusion for any member who “joins and/or supports a political organisation other than an official Labour group or other unit of the party” – should be scrapped, as per the rule change already going to conference this year (https://stopthelabourpurge.wordpress.com/2017/06/19/urgent). All Labour supporters should be welcome in Labour: membership of particular Labour-supporting organisations or previous leftwing activity should be irrelevant. The practice of auto-exclusion should be abolished. Everyone should be regarded as innocent until proven guilty and get a proper procedure, including advance notice of charges, the right to evidence submitted against them and the identity of the accuser/s, consultation with their CLP and branch, a full hearing, and the right to an appeal. Membership rights should not be removed until procedures are completed. This should apply retroactively to those denied these rights. If a sitting MP has indicated that they wish to stand for re-election, the NEC shall agree a timetable for a selection process for that constituency, candidates shall be invited to express interest in the selection and a shortlisting committee shall be appointed in line with procedural guidance to be issued by the NEC. Party units and affiliates may each make a single nomination of a candidate. If the sitting MP receives both (i) nominations from party branches with a combined membership of more than two-thirds of the CLP membership, and (ii) nominations submitted by more than two-thirds of the affiliates and party units other than branches submitting nominations, then the sitting MP shall be automatically reselected. Where the sitting MP is not automatically reselected, the shortlisting committee shall present a shortlist of nominated candidates to all members of the CLP entitled to vote. That shortlist must reflect the requirements of the NEC to ensure that candidates are representative of our society, it must include the sitting MP and it must be subject to the requirement that any candidate who has received nominations either from party branches with a combined membership of more than one half of the CLP membership or from more than half of the affiliates and party units other than branches making nominations shall be included, subject to meeting eligibility criteria. This democratic selection procedure ensures that to be reselected MPs must have the support of their local members. By ensuring a nominations process, this rule change allows both sitting MPs and potential candidates to seek out nominations from local units and affiliates, thereby increasing the accountability between members and MPs. The process allows MPs to get automatically reselected if they have the clear support of members and trade union affiliates, whilst at the same time offering other candidates a fair chance of getting a guaranteed place on the shortlist. 1. ↑ To add a small correction to that article, we would like to point out that there seems to be some difference on the issue within the AWL. 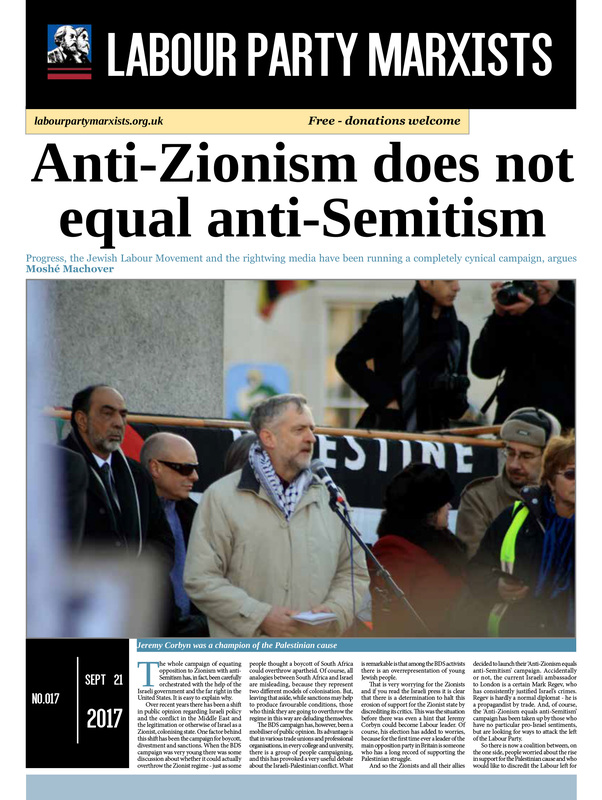 Leader Sean Matgamna continues to call for Ken Livingstone to be expelled from the Labour Party (see www.workersliberty.org/ story/2017-07-26/livingstone-and-anti-zionist- left). Meanwhile, the editorial team of the AWL paper Solidarity officially says it disagrees (see www.workersliberty see org/node/31045). Despite that it happily publishes Matgamna’s articles without any ‘correctives’ and regularly denounces Livingstone as an ‘anti-Semite’ in its pages.